We Reiterate: Why Let it Continue? The January 4th New York Times story, “The Hidden Financial Incentives Behind Your Shorter Hospital Stay,” describes how hospital stays classified under “Observation Status” are skewing admission and readmission data. As Dr. Jha states in the article, Observation Status is driven by incentives for the hospital. This is an ever-increasing phenomena in which Medicare deems patients as “outpatients,” although they are in the hospitals for days. The Center for Medicare Advocacy has worked for many years to end the harm that Observation Status causes people who rely on Medicare. We have helped hundreds of beneficiaries and families, assembled a broad national coalition to support legislation to fix the problem, and filed lawsuits on behalf of elderly patients. “Outpatient” hospital observation status limits access to necessary post-hospital nursing home care, alters public health data regarding hospital admissions and readmissions, increases Part B costs and cost-sharing, and creates lengthy delays in the Medicare appeals system. With all this harm, one must ask: Why does the Centers for Medicare & Medicaid Services insist on continuing this dreadful policy? The December 2, 2015 Wall Street Journal story “Medicare Rules Reshape Hospital Admissions” described how hospital stays classified under “observation status” can lead to big bills for patients without their knowledge. 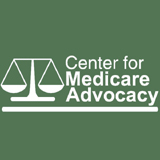 The Center for Medicare Advocacy has worked for many years to eliminate, or at least reduce, the harm that observation status causes people who rely on Medicare. We have developed self-help materials,http://www.medicareadvocacy.org/self-help-packet-for-medicare-observation-status/, assisted beneficiaries and families, brought together a coalition of national organizations to support federal legislation that would fix the problem, and filed lawsuits. “Outpatient” hospital observation status is limiting access to necessary nursing home care, skewing public health data regarding hospital admissions and readmissions, increasing Part B costs and cost-sharing, and creating lengthy delays in the Medicare appeals system. With all this harm, one must ask: Why does the Centers for Medicare & Medicaid Services insist on continuing this dreadful policy? If Congress and the Administration truly seek ways to limit Medicare premiums and deductibles (Robert Pear, 10/6/2015, and 10/15/2015), they ought to look at the Medicare agency’s hospital Observation Status policy. A major cause of the Part B increase is likely the parallel increase in so-called “outpatient” observation status. The result of this misguided policy is that unprecedented amounts of hospital care are being billed to Medicare Part B, rather than Part A. This was never intended by the law. In fact Part A is called “Hospital Insurance” in the Medicare Act. Yet, thousands of patients stay days in hospitals only to learn they were not admitted as inpatients. Instead, they are classified as outpatients on observation status. One of the myriad consequences of this policy is that Part B expenses are sky rocketing – increasing Part B premiums and deductibles and cost shifting to Medicare beneficiaries. On April 1st Representative Paul Ryan rolled out yet another “Path to Prosperity,” as he annually calls his budget. Unfortunately, the budget is a repeat of past year plans and is not a path to prosperity for most Americans – or for Medicare. For future retirees, the budget supports an approach known as ‘premium support.’ Starting in 2024, seniors (those who first become eligible by turning 65 on or after January 1, 2024) would be given a choice of private plans competing alongside the traditional fee-for-service Medicare program. Rep. Ryan has proposed “premium support” for future Medicare participants many times in the past. While his budget assures us that “this is not a voucher program,” it is, once again, a proposal to pay a certain amount towards private insurance for Medicare beneficiaries. Ironically, Mr. Ryan states such insurance plans “would be available in a newly created Medicare Exchange.” This is ironic because the proposal is remarkably similar to the Affordable Care Act marketplace that is so maligned by Mr. Ryan and his colleagues. the government has been … a clumsy, ineffective steward of value. Controlling costs in an open-ended fee-for-service system has proved impossible to do without limiting access or sacrificing quality. In fact, over the last few years traditional Medicare per-capita cost growth has declined, leading the way to parallel reductions in the rise of overall healthcare costs. The unnecessary costs for the government, taxpayers, and all Medicare beneficiaries that need controlling are the hundreds of billions of dollars in excess payments to private Medicare Advantage plans under Medicare Part C and private pharmaceutical companies under Medicare Part D. These unnecessary private industry payments are the real threat to Medicare’s future. If Mr. Ryan’s goal is really to save money and preserve a strong Medicare program, he would look to these cost overruns for savings. He certainly would not propose further privatizing Medicare. Increasing the age of eligibility to 67. Charging more for Medigap coverage. Combining Parts A and B cost-sharing, thereby increasing costs for most beneficiaries. Increasing premiums for more beneficiaries. Regrettably, the Ryan plan may provide a continued path to prosperity for private insurance and pharmaceutical companies, but it is a dead end for Medicare, older people and people with disabilities. Fair Prices for Prescriptions = Fair Pay for Physicians! Year after year congress has passed a short-term physician payment package instead of permanently fixing the unfair payment formula for doctors who treat Medicare patients. Today, in Congress, there’s a real solution for this ongoing problem. Senator Rockefeller’s Medicare Drug Savings Act of 2013, which will allow Medicare to negotiate prescription drug prices for low-income beneficiaries, will save Medicare $140 billion over 10 years – almost the exact amount needed to permanently fix the physician payment formula and fairly pay doctors who treat Medicare patients. Join us. Tell Congress you support finally fixing the formula by which Medicare pays physicians (it’s called “SGR”), but that the cost of doing so cannot be shouldered by older and disabled people. Allow help for low-income people on Medicare to expire. The timing couldn’t be more perfect. Senator Rockefeller’s Medicare Drug Savings Act is the solution. Congress can permanently fix the physician formula and pay for it by allowing Medicare to obtain the best possible price on prescription drugs for low-income individuals. Tell them to use the prescription drug savings to fairly pay physicians who treat Medicare beneficiaries!